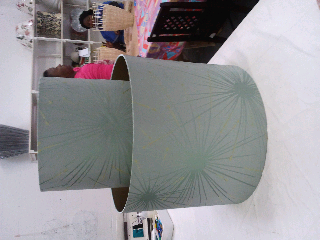 Yesterday, we delivered a double lampshade. We lined the inside in gold (which gives beautiful warm glow when the light is on), and it was covered in a fireworks fabric. 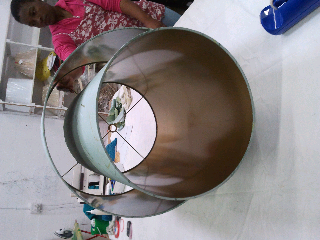 This hanging lampshade is nearly one meter long. 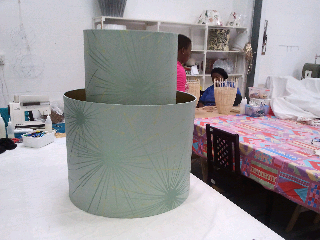 The lampshade was commisioned for Salome Gunter Interiors in Cape Town.